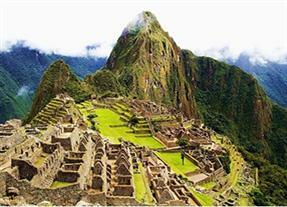 we will visit the amazing Ollantaytambo fortress. It was a fortified city built by the Inca Pachacutec and at the time of the conquest served as a fortress for Manco Inca Yupanqui. 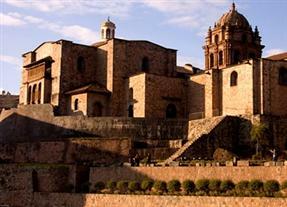 The city was formed as a military, economic and administrative and agricultural complex. 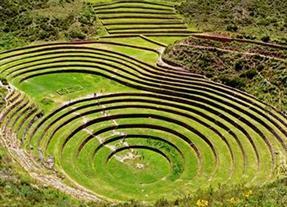 Ollantaytambo was also an important "tambo" or city with houses, huge food stores, and places for astronomical observation. Then we will visit the Inkariy Museum, that displays manu aspects of the Incan Empire, but also the cultures of Caral, Chavín, Paracas, Moche, Nasca, Wari, Lambayeque and Chimú. A chronological circuit of the museum is dedicated to explain about these societies. We will see the reliving in re-creation, models, animations and billboards of men who inhabited the ancient Peru providing a new vision never shown before. The main thematic halls of the museum exhibit each culture through large-scale dioramas where iconic composed scenes produce hyper-realistic characters reflecting a biotype of a native man with clothing and ornamentations of each era. We finally visit the Cochahuasi Animal Center, that has been sheltering wild species, many of which are endangered. One of the species at risk of extinction is The Andean Condor, it deserves special consideration, because its population has been seriously decimated, and efforts to encourage its reproduction in captivity and later releasing the young Condors. The animal in this center, are rescued from illegal hunters, here they are rehabilitated and after that relesead. 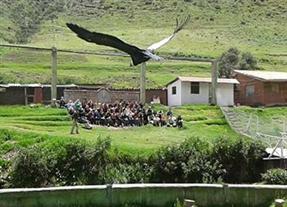 While in the center you can see llamas, macaws, falcons, andean pumas, guanacos, condors, etc.